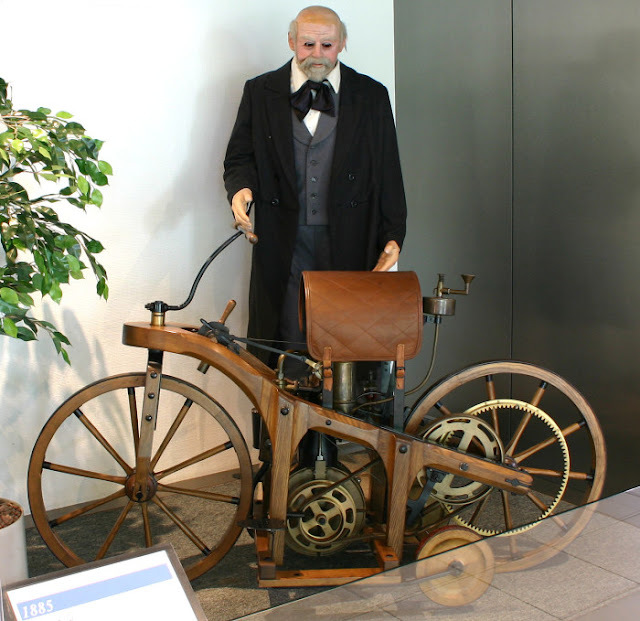 The Daimler Reitwagen (“riding wagon”) or Einspur (“single track”) was a motor vehicle made by Gottlieb Daimler and Wilhelm Maybach in 1885 and is widely recognized as the first motorcycle. 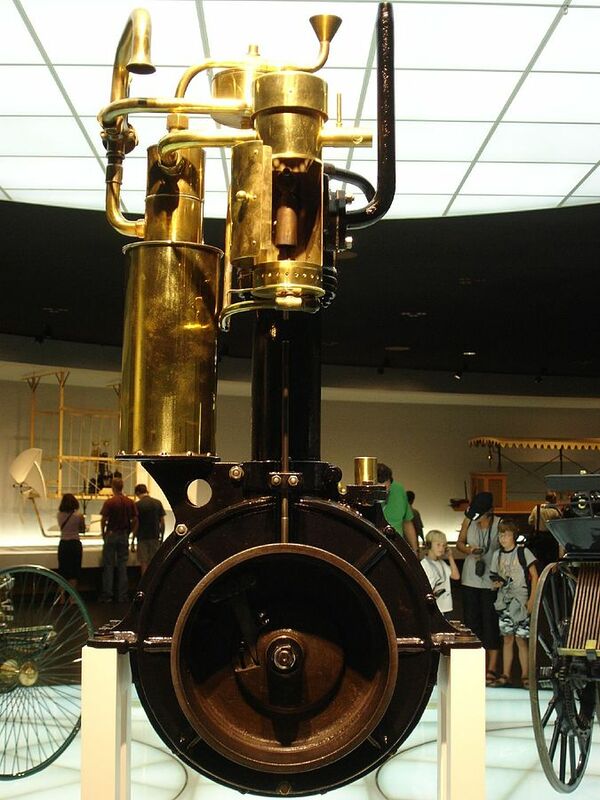 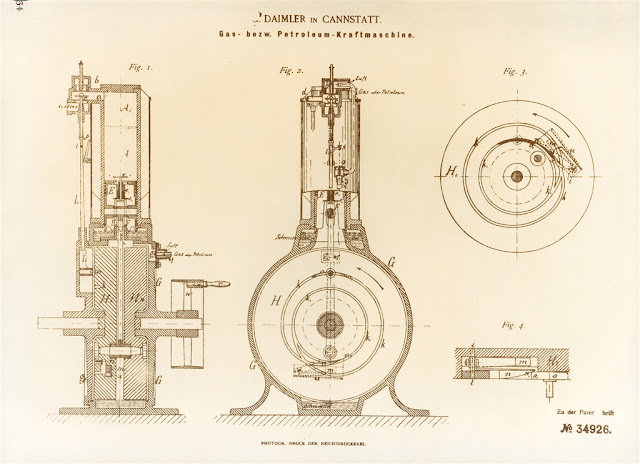 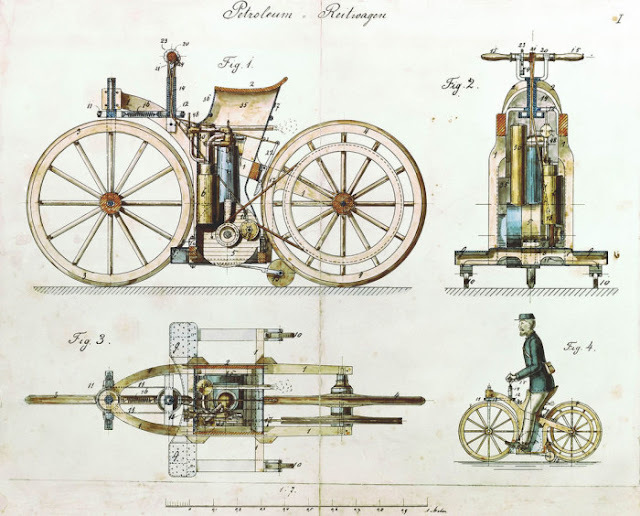 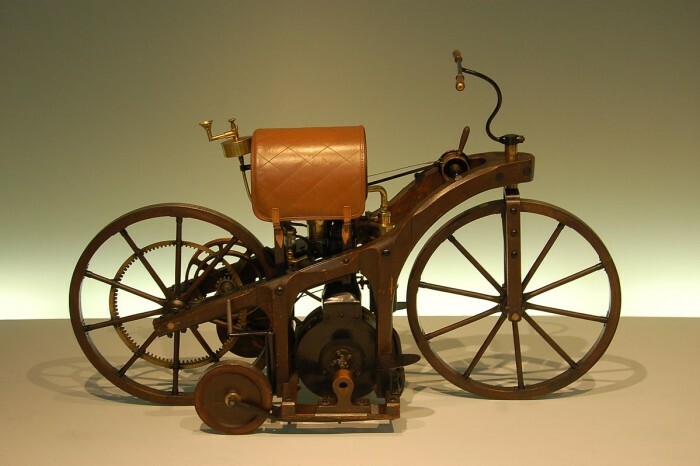 Daimler is often called “the father of the motorcycle” because of this invention. Even when the three steam powered two wheelers that preceded the Reitwagen, the Michaux-Perreaux and Roper of 1867–1869, and the 1884 Copeland, are considered motorcycles, it remains nonetheless the first gasoline internal combustion motorcycle, and the forerunner of all vehicles, land, sea and air, that use this common engine type.